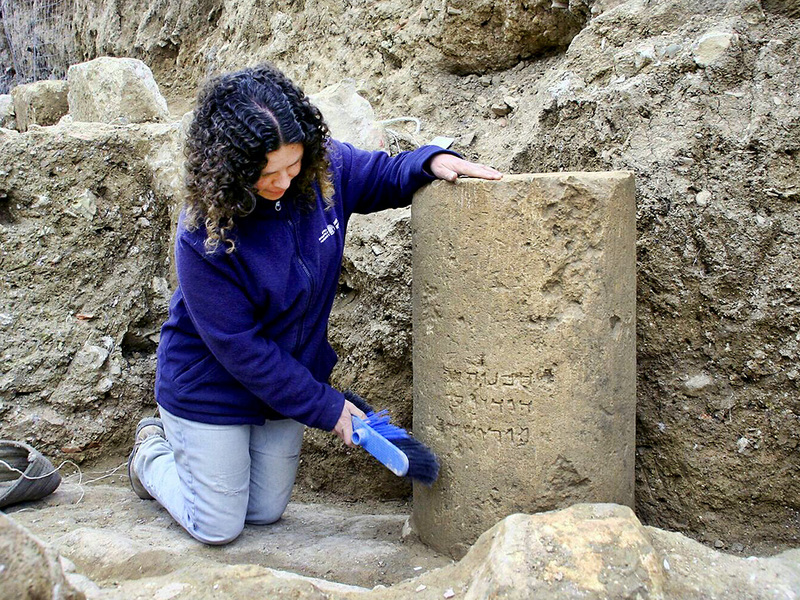 Danit Levy, Director of the excavations on behalf of the Israel Antiquities Authority, beside the inscription as found in the field. Photo: Yoli Shwartz, IAA. 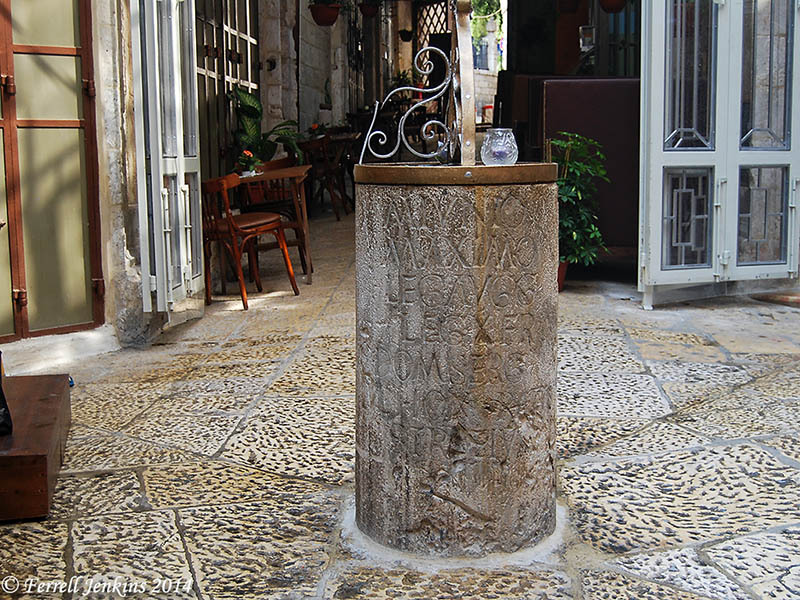 Among other reasons, I find this stone interesting because it reminds me of the post on a side street just inside Jaffa Gate. There is no indication that this was ever a column; it was just a post with an inscription mentioning the Tenth Roman Legion. Close-up of Roman column mentioning 10th Roman legion. Photo by Ferrell Jenkins. M(arco) Iunio Maximo leg(ato) Aug(ustorum) Leg(ionis) X Fr(etensis) — Antoninianae — C. Dom(itius) Serg(ius) str(ator) eius. The tenth legion participated in the destruction of Jerusalem in A.D. 70, and remained in the city for about 200 years. The recently discovered inscription is now on display in the Israel Museum. 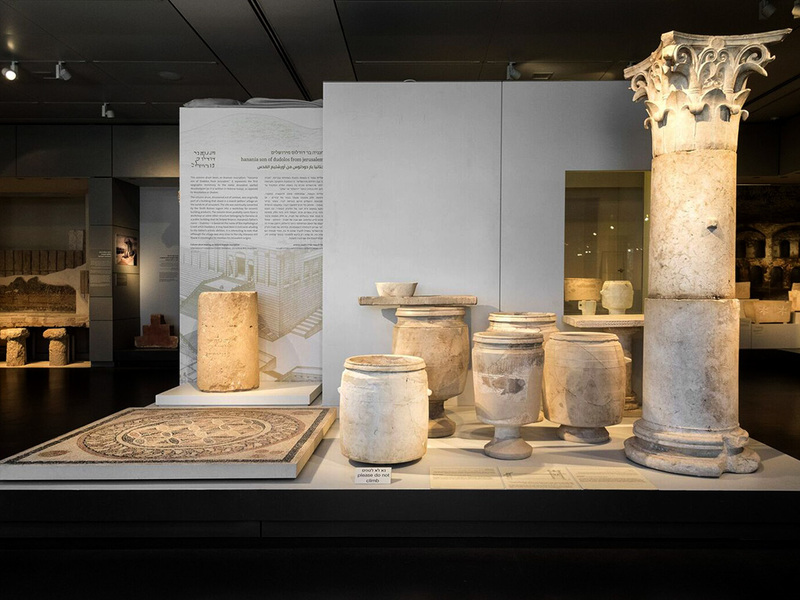 If you have visited the Israel Museum you will notice that the inscription has been placed beside the stone jars and others items from the so-called Herodian Mansion (Wohl Museum) in the Old City. More details about this discovery may be found in the IAA Press Release here. The unique inscription from Jerusalem, as displayed at the Israel Museum. Photo: Laura Lachman, Courtesy of the Israel Museum. 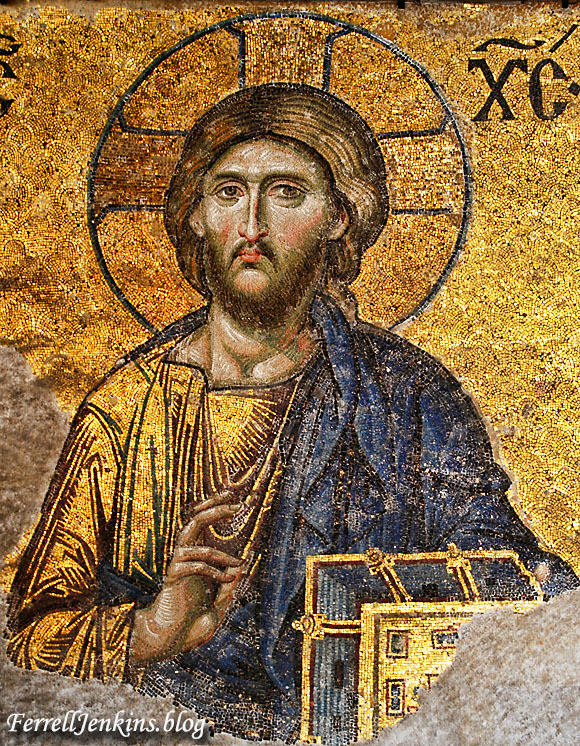 Check our index on the Index of articles on the Romans and the Ministry of Jesus here. HT: Joseph Lauer and the various Israeli newspapers. This is the beginning of an index on articles pertaining to Church History. I am confident that it is not a complete list, but I trust that it will be helpful to those interested in this subject or in trying to locate photos for use in teaching. If you are looking for something about Roman Catholicism just search for Rome. There are many references to the Byzantine period and structures, etc. Search for various examples. The Deesis from Hagia Sophia in Istanbul shows Jesus enthroned with Mary and John the Baptist on either side. Photo by Ferrell Jenkins. Traveling in Turkey. See Post New Testament Church History. Church History book available for Kindle. See Council of Ephesus near bottom of post. Saint Nicholas on Amazon Prime. Myra in Turkey. Myra, Home of Saint Nicholas. The Arch of Constantine. Reference to his mother Helena. Pella of the Decapolis. Where Christians are said to have fled in A.D. 70. The Reformation after 500 years. Various leaders. Third Man of the Refromation: Zwingli. The Reformation and Restoration in Scotland. Visiting Edinburg. St. Giles Cathedral and Knox. Reformation Day 2016. Luther Monument in Worms. Something Irish. Area near Ahorey Church. Arrival in Glasgow, Scotland. Where Thomas and Alexander Campbell attended university. Dr. James Turner Barclay remembered in the Cathedral of St. George, Jerusalem. Barclay discovered Solomon’s Quarries, a gate in the Western Wall, etc. Papias. Hierapolis; Philip and Papias. Billy Graham and Temple Terrace, Florida. “Church History Index.” Ferrell’s Travel Blog, 5 Oct. 2018, ferrelljenkins.blog/2018/10/05/church-history-index/.